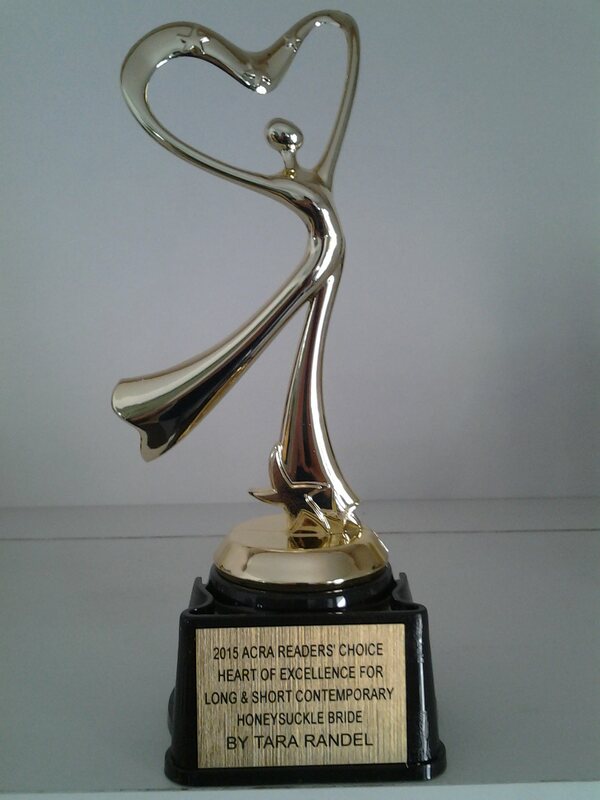 2015 Readers Choice Heart of Excellence winner! I'm proud to announce that Honeysuckle Bride is the 2015 ACRA Readers Choice Heart of Excellence award winner in Long & Short Contemporary. I'd like to thank Ancient City Romance Writers! In a profession where writers spend lots of time alone, it is so wonderful to be acknowledged. I spend hours working on my books, hoping the readers will come to love the characters and stories I create as much as I do. Thanks to all the lovely readers out there. I count myself among your ranks! I look forward to new books being released in 2016. Now...back to the keyboard!